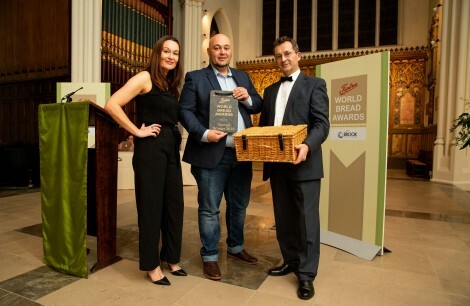 Real Bread Campaign manager Chris Young approached the team at Brook Food with the idea of holding an event where fellow bread heads and real bread lovers could gather together for informal talks, discussions and demonstrations. What was initially going to be a daytime informal event quickly grew into a summer festival feel event and evening extravaganza. Bakers and real bread campaigners from all over the country were invited to go along to the event. Over 60 bread enthusiasts signed up and descended upon Williton, Somerset, where Marquees, demo areas awaited them. The day was beautiful and started off with an open and informal delegate welcome from Chris Young, Aidan Chapman, Duncan Glendinning, Emma Parkin and Dilly Boase. A 60 minute panel discussion then followed where important industry topics were debated and guests had the chance to get involved with the ‘Ask the Baker’ Q&A session. Throughout the day there were activities to get involved with including a master class from Aidan Chapman of Flint Owl Bakery, known within the baking community as the Dough Anarchist. Aidan invited attendees to participate in a hands on demonstration, making foccaccia, brioche rolls ( for the hog roast feast that evening ) and also rye loaves and crisp breads. 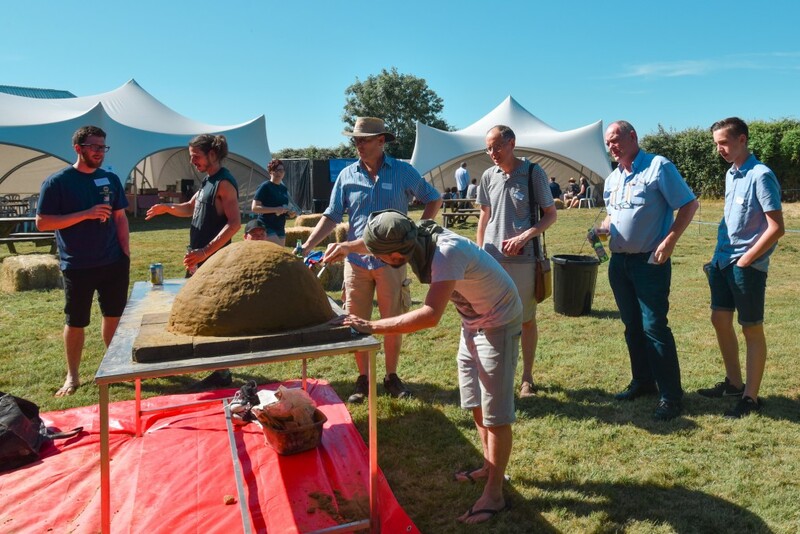 Whilst outside, Duncan Glendinning of the Thoughtful Bakery arrived in Somerset after pulling an all night shift in the bakery, to produce a full demonstration on how to build a clay oven from scratch, this lasted all day and our bakers were invited to get bare foot and dirty in the sun. The event did clash with a very important event (for some) an England World cup match, Brook Food were happy to oblige and provided a sheltered area for football lovers to enjoy the match mid afternoon along with beer and local ice cream. The day gave Brook Food the opportunity to show many who had never been to their headquarters, whether home bakers or owners of retail stores, a look around the showroom which is filled with over one thousand machines. As the event crept into early evening, attendees enjoyed a live band, hog roast using a local pig, bonfire and pizzas baked in the clay oven that had been created throughout the day. The event which was a first of its kind in Somerset was a massive success with feedback that it was a great day. Chris Young of the Real Bread Campaign said “It was great to be able to bring together so many people with a pasion for Real Bread. I’ve had nothing but positive feedback about what people learned , the connections they made and the fun they had. Now I just need to find a partner as supportive as Brook Food to help me organise the next one”. Thoughtful Bakery’s Duncan Glendinning had this to say ” The first South West Real Bread gathering at Brook Food was a huge success. 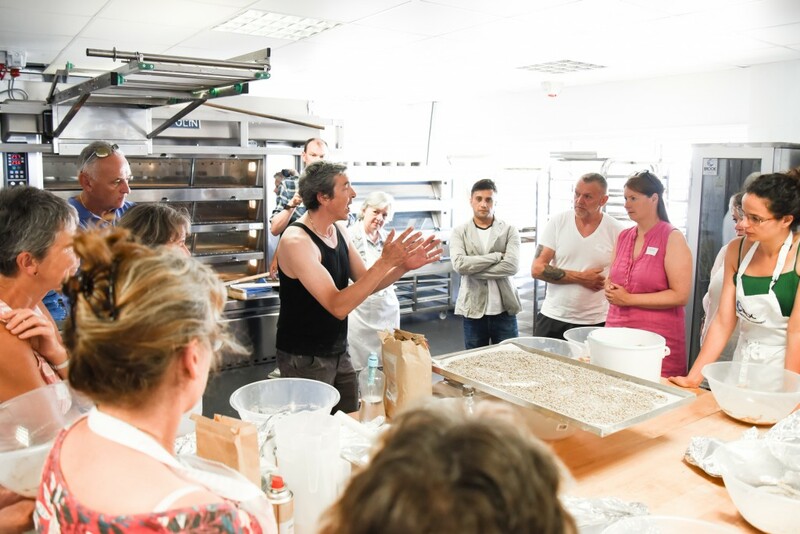 We had the opportunity to meet people from all walks of life with a shared common passion and explored real bread through practical demos, oven building workshops and more”. For more information about our sponsors and supporters click here. This entry was posted in Sponsor, Uncategorized. Bookmark the permalink.